Do you have aging air conditioning equipment with R22 refrigerant? Are you facing a rising cost of air conditioning with aging R22 equipment? 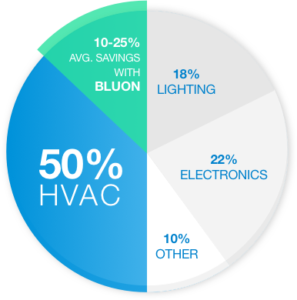 HVAC accounts for 50% of energy consumption in a typical building. It’s even higher for buildings with refrigeration needs. Most commercial air conditioning systems still use R-22 refrigerant. 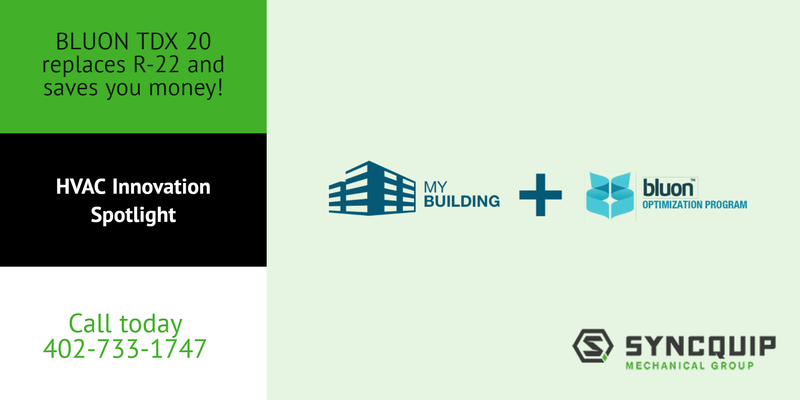 With global laws phasing these out, building owners must install less-efficient refrigerants or replace their equipment. The solution is Bluon’s revolutionary TdX 20 refrigerant. R-22 refrigerant is reaching the end of its global phase-out, yet the majority of America’s air conditioning systems still run on R-22. With R-22 prices skyrocketing and supplies rapidly declining, contractors are turning to replacements. 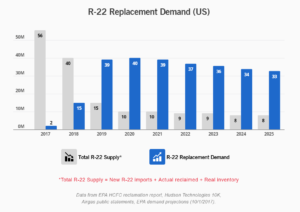 But replacing R-22 isn’t easy: capacity and efficiency loss, modifications, and system failure are realities with most replacements, and contractors simply aren’t prepared. Supply Houses are often forced to provide tech support to contractors who use replacements and break systems, as no support is offered by the manufacturer. And it’s about to get worse. Keep your current equipment in place and make it run longer and better than ever with Bluon TdX 20. This isn’t just a replacement for R-22 refrigerant, it’s an actual upgrade. Contact us today for more information 402-733-1747.